The GMC Sierra is the best-selling truck in the GMC family, and it's not hard to see why. Not only is it big and bold, it also holds bragging rights for the most powerful gasoline V8 in its class. 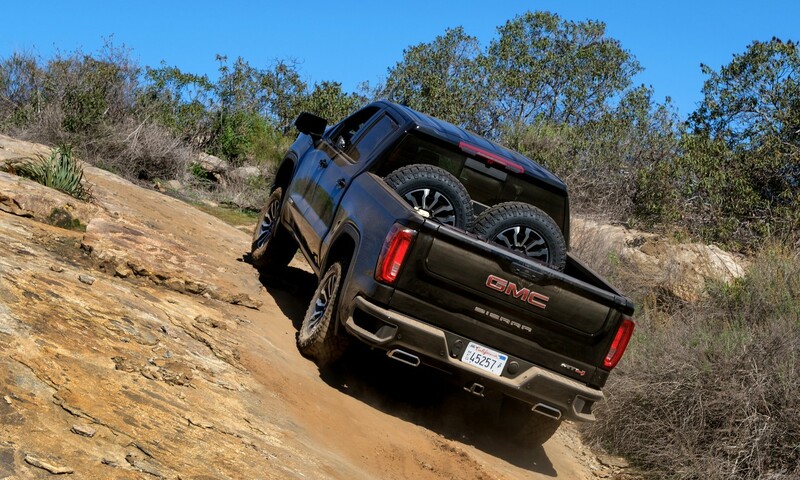 Throw in a number of available options uncommon in its segment, including lane-departure warning and auto high-beam dimming, and the GMC Sierra 1500 quickly proves that it has enough brains to go along with its brawn. The GMC Sierra 1500 features a 5.3-liter V8 EcoTec3 engine that provides an incredible fuel economy for a full-size pickup. This standard powertrain offers a generous 355 horsepower and 383 lb-ft of torque. But there are plenty more options to meet everyone's need. The 6.2-liter version packs 420 horsepower, (also outstanding for a light-duty pickup), while the 4.3-liter V6 produces 285 horsepower with 305 pound-feet of torque. The standard transmission is a six-speed automatic, with an eight-speed available as an option. Depending on which powertrain options is chosen, owners can excellent fuel economy for this class of truck, thanks to available active and dynamic fuel management features. Drivers won't need to worry about rear wheel slippage when hauling; in fact, the Eaton Locker automatic locking system for the rear differential locks down the rear wheels when it senses any slippage—the result is better traction, safety, and control. The standard engine will provide a lot of power for light towing and general tasks, while the V8 is powerful with a transmission that's smooth and mild. Rear-wheel drive comes standard, with four-wheel drive available for drivers who want extra traction for heavy weather or off-road conditions. A feature available for the Denali line is Magnetic Ride Control, which monitors the conditions of the road and maintains a smooth ride by changing the suspension automatically. Needless to say, the Sierra's ride is luxurious and comfortable, with accurate steering and responsive handling—a good balance of feedback and weight. Additional specs include a 12,500-pound towing capacity and a maximum payload of just under 2,200 pounds;* this strength means towing and hauling is easy with the transmission's tow/haul selection that maintains gears longer. A rear-view camera makes it simple to hook up a trailer. Base models are only available with a regular or a double cab. Depending on your need, regular cabs can be equipped with a 6.5- or an 8-foot bed. Double cabs come only with a 6.5-foot bed while crew cabs are available with a 5.8- or a 6.5-foot bed. It's important to remember that not all trim levels are available with all configurations and Rivertown Buick GMC would be happy to provide a detailed walkthrough of all your options. All configurations, however, are available with four-wheel drive. Because the Sierra 1500 is so versatile, and because its price can vary greatly, it's worth establishing what purpose your truck will serve. If you're looking for a fairly straightforward work truck, we recommend the base Sierra. It comes standard with the 4.3-liter V6, though the 5.3-liter V8 is also available. For more regular use, we suggest the SLE trim. It adds a backup camera, an upgraded infotainment system, 17-inch aluminum wheels, and a leather-wrapped steering wheel. Stepping up another level brings us to the SLT. It comes with the 5.3-liter V8, towing hardware, and a number of helpful features like power-folding/heated mirrors and heated leather seats. The 6.2-liter V8 is an option for drivers that need even more gusto from their engines. Parking alerts are also available and prove incredibly handy for a truck the size of the Sierra 1500. Finally, sitting atop the range is the Denali (pictured below). For drivers that want it all (and then some), the Denali features most of the previous trim's features as well as all of the range's available driver assistance features. It also benefits from Magnetic Ride Control dampers, 20-inch wheels, and unique aesthetic appointments inside and out, like chrome exterior features and rich woodgrain and leather interior accents. 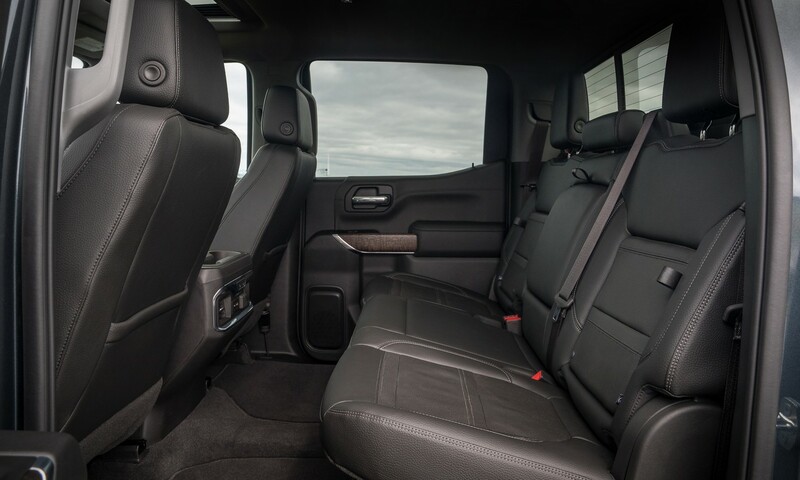 The 2019 GMC Sierra 1500 has a well-equipped, quiet cabin, with comfortable seats and an easy-to-use entertainment system; the upper trim levels are even more elegant and luxurious. The voice-control system results in convenience, as well as safe driving. The rear seats fold down for additional storage. There is ample storage in the cabin, and the Denali line features lots of chrome trim for an extra luxurious look. GMC's Sierra cabin is excessively quiet, keeping road noise out and providing a good environment for music or talking on a hands-free phone, and all buttons and knobs are prominent and large, making it easy to dial in the settings on the infotainment system. As in the past, safety is a priority with GMC. The Sierra's safety features include driver airbags, side head air bag, side airbag, passenger airbag, rear head air bag, daytime running lights, front tow hooks, 4-wheel ABS, traction control, turn signal mirrors, Electronic Stability Control, and 4-wheel disc brakes. An Enhanced Driver Alert package is available on SLE and SLT models. It includes a Forward Collision Alert, Safety Alert Driver Seat, Intellibeam headlamps with automatic high-beam control, Lane Keep Assist, Front and Rear Park Assist, and Low-Speed Forward Automatic Braking. 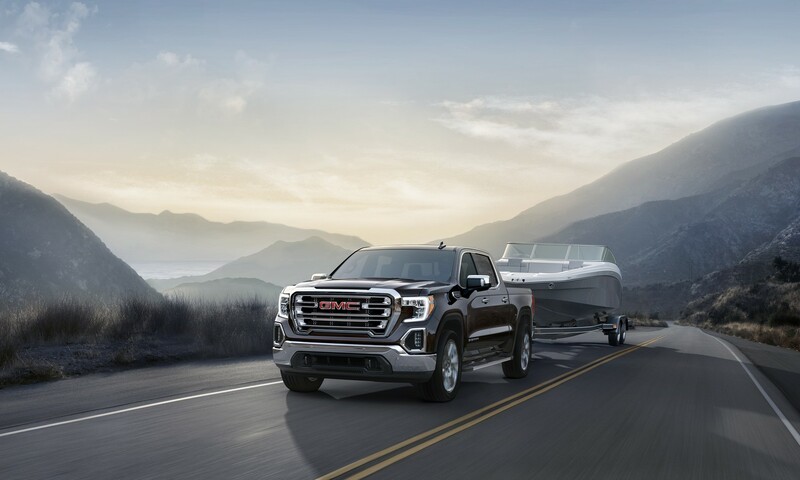 The 2019 GMC Sierra continues the tradition of rock-solid reliability, smooth ride, high performance, and comfortable surroundings. With a number of trim levels, from a well-equipped base model to the luxurious Denali line, there is a Sierra 1500 for every budget and taste. 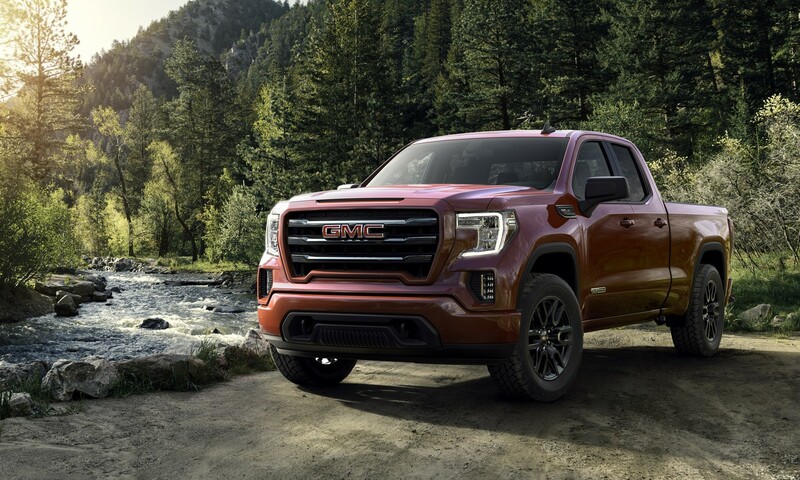 For more information, or to schedule a test drive of the GMC Sierra 1500, be sure to contact or visit Rivertown Buick GMC at 1661 Whittlesey Rd, Columbus, GA 31904. * Sierra's 12,500-lb rating requires Sierra Double Cab or Crew Cab Short box 2WD with 6.2L EcoTec3 V8 engine and NHT Max Trailering Package. Before you buy a vehicle or use it for trailering, carefully review the trailering section of the Owner’s Manual. The weight of passengers, cargo and options or accessories may reduce the amount you can tow. ** The Manufacturer's Suggested Retail Price excludes destination freight charge, tax, title, license, dealer fees and optional equipment.